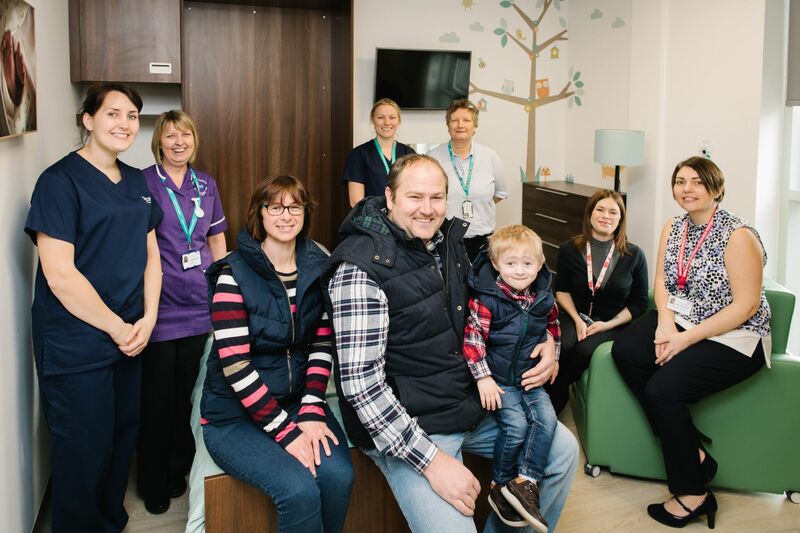 A new room, which allows parents to stay at Furness General Hospital (FGH) on the Special Care Baby Unit (SCBU) if their newly-born baby is poorly, or needs that little extra help officially opened on Monday 14 January – thanks to the incredible fundraising of the Simpson family from Arrad Foot, near Ulverston. The family – mum; Jill, dad; Stuart and daughters Katie, Hayley, Courtney and Jodie – along with all their family and friends raised over £9000 for Bay Hospitals Charity, the official charity of the trust which runs FGH through holding a number of fundraising events, including a barn dance on their farm, a charity auction and a dance in a village hall for Jill’s Dad’s, Danny’s 70th birthday. In addition to funding the new parent’s room at FGH, the family’s generous donation also allowed Bay Hospitals Charity to purchase 4 recliner chairs on the SCBU. 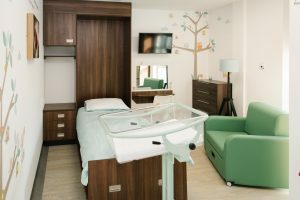 These chairs allow new mums, or their partners to hold their babies by the side of the incubators or cot side and are more comfortable for new mums who have had a caesarean birth. The chairs can also be turned into flat beds, allowing partners to stay over. Alfie Jack was born seven and a half weeks prematurely on 12 June 2016 but soon afterwards his condition began to deteriorate resulting in him being transferred almost 50 miles away to the Intensive Care Unit (ICU) at the Royal Lancaster Infirmary (RLI) while mum Jill, who herself was very poorly remained on the maternity unit at FGH. Talking about the traumatic experience, Jill of High Farm, Arrad Foot, near Ulverston said: “I cannot begin to describe how awful it was to be separated from Alfie Jack at a time that should have been one of the happiest times in our lives. “They took Alfie Jack away in an ambulance and he spent four days on ICU at the RLI before they brought him back to FGH where he spent another seven weeks in hospital before he was finally discharged and we could bring him home. “The day we were told we could bring him home was such a special day for us all. Unless you’ve been in that situation yourself, you cannot begin to know how it feels to be apart from your new-born baby. “Being here today with Alfie Jack – who is now 2 and a half years old – and seeing the new parent’s room for the first time makes me and Stuart feel so proud. As a family, we really wanted to give something back to the hospital because without the incredible care we received from all the teams at FGH and the RLI, Alfie wouldn’t be here today. Jill adds: “On behalf of all my family, I want to thank all the doctors and nurses at both FGH and the RLI who were all absolutely fantastic but especially Charlotte Johnson, Clinical Leader on the SCBU at FGH and Barbara Foster, Acting Unit Manager/Specialist Neonatal Nurse Practitioner on the SCBU at FGH, who both incredible and really went above and beyond”. Nicola Askew, Associate Director of Nursing & Therapy Service for Children & Young People at University Hospitals of Morecambe Bay NHS Trust (UHMBT) said: “On behalf of the whole team on SCBU at FGH, I’d like to offer my heartfelt thanks to Jill, Stuart, their daughters Katie, Hayley, Courtney and Jodie and all their family and friends on their fantastic fundraising efforts. “I’d also like to thank Lauren Beaumont, Commissioning Officer from our Capital Services team who project managed the new room right from the start and got us where we are today. 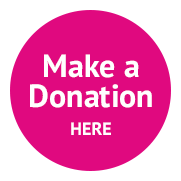 “It is so humbling when local people from Barrow and the surrounding areas fundraise or donate to our hospital charity allowing us to purchase the latest state-of-the art-equipment or, in this case improve the hospital environment to ensure patients we care for really do receive the best care possible. “It was lovely to meet the family and especially Alfie Jack, who is an absolute star. The new parents room and chairs the charity purchased from the Simpson family’s generous donation will leave a lasting legacy and will help other local families for many years to come”.